The Florida House and Senate are set to begin hammering out a state spending plan for the upcoming fiscal year after both chambers approved their respective budget proposals. As Lynn Hatter reports, now comes the hard part: reaching a consensus. A House panel has agreed to advance its version of overhauling the Florida Retirement System, despite much opposition from public employees and Democrats. As Sascha Cordner reports, the newer pension reform proposal is similar to a plan that died in the Senate last year. 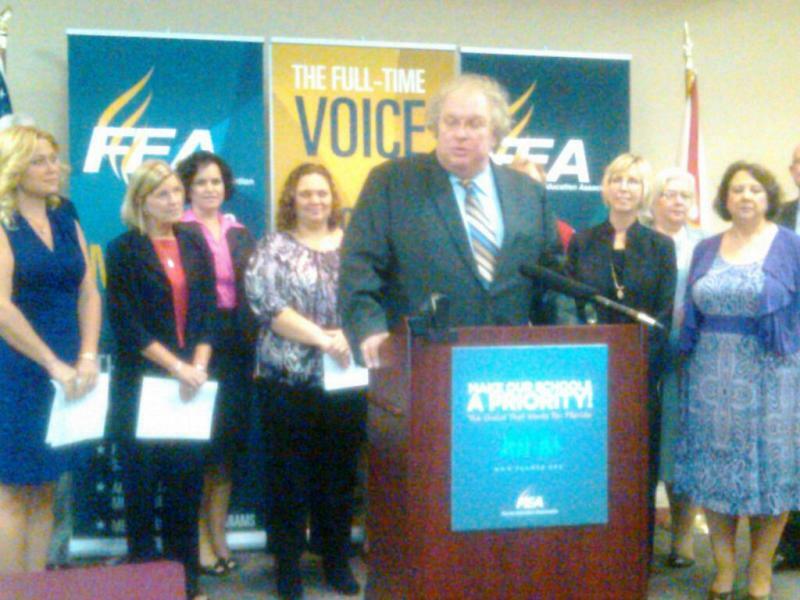 Florida’s largest teacher’s union is calling for changes to a newly implemented evaluation system that is giving many teachers a shock. Under the state’s new evaluation system, districts aren’t just looking at things like the way teachers teach, and how well their students perform on tests, it’s is also factoring in how well it thinks students should have performed. That’s called the Value-Added Model.” And it’s proved disastrous for Margaret Goodwin, a 3rd grade teacher in St. Petersburg’s Westgate Elementary School.